In today’s segment of the rollercoaster ride that is Russian technology legislation, lawmakers proposed – then hastily postponed – a plan that would have made it difficult to legally call landlines or mobile phones in the country from Skype. First, per the business journal Vedomosti, a group of legislators proposed amendments to Russian communications legislation that would require a caller’s operator to transmit unaltered information about the caller’s number. Operators who did not abide by this rule would be denied a license. The bill had been due to go for a first reading in the Duma (the Russian parliament) on Wednesday. 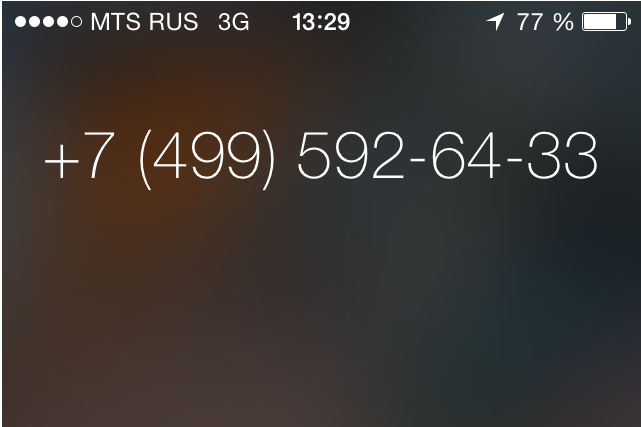 According to the original reports, the new amendments would essentially mess with any IP telephony service allowing calls to Russian phone numbers — there’s simply no “real” number to show. Apparently, this would take in a number of companies that offer cheap international calls by using internet intermediaries. However, as Interfax and Rosbalt subsequently reported, the lawmakers who proposed the bill have already postponed it. Parliamentarian Jaroslav Nilov, one of the bill’s sponsors, was quoted as saying there had been misinformation that he and his colleagues were planning to ban Skype altogether. “That’s not true,” he said. “And in order to ease the tension, I am now going to ask to defer consideration of this issue.” Nilov also promised to consult with telcos and those in the IP telephony business. What was the purpose of the plan? It seems to have been a mix of trying to protect the income of regular Russian telcos, who lose out on pricey international call revenues because of cheap internet telephony services, and trying to keep a handle on who is calling whom, for security purposes. The Russian authorities have a bit of a habit of bringing up crazy new ideas to control the internet more tightly, then dropping them (or at least going quiet on them) once their citizens freak out. The most recent example before today came last week, when the Kremlin was – then wasn’t — consulting on how to separate the Russian internet from the global internet in case of “emergencies”. A plan in August to force people to log onto public Wi-Fi hotspots with official ID was also a confused mess – though it remains real, if ignored by hotspot operators. It’s not hard to see why working in the Russian tech sector, or just being a Russian tech user, is something of a hair-raising experience these days. I can’t step inside the mind of Russian lawmakers, but a requirement to show a true/trustable caller ID seems quite reasonable to cut down on nuisance calls, not an attack on Skype usage or protectionism. In the UK, Ofcom & the ICO (both toothless and not very effective) claim to be working with industry on “a new call tracing standard”. The psuedo-anonymity online is very much a two edged sword. I couldn’t make this up, as typing I’ve just received a pre-recorded call from 00119246586, trying to phish me in to confirming my eligibility to get a callback about PPI. As that number is from “overseas”, almost certainly using VOIP telephony, both Ofcom and the ICO will claim they can’t do anything about it. 40% of my business is from the US, so I can’t simply ignore non UK numbers. Accountability is an important value often overlooked in the anonymity debate. Now one knows for sure whether Microsoft, who owns Skype, already participates in SORM-2 (Russian analog of CALEA). Chances are, FSB has already ability to wiretap Skype, so it’s unlikely to put Skype and other VoIP under greater control. Just as author suggested, it’s either lobbying or just some whim of Russian lawmakers (who use Skype extensively) to fix caller id for themselves.